In preparation for the upcoming IGLTA Convention in St. Petersburg, Florida coming up May 4-6, we wanted to do an up-to-date analysis of the top hashtag used for LGBT travel, which is still #GayTravel. Secondary hashtags used are #LesbianTravel, #Gaycation, #GayVacation, #GayHoliday and #GayTraveler, but to date, #GayTravel is still in the lead. Why is this important? Because if you're Tweeting or posting your photos on Instagram while at the convention, you want to make sure your posts and photos are seen. If you're uploading a video to Instagram or YouTube, ensuring the video is promoted on Twitter and hashtagged is more important now than ever before, as proper hashtagging allows you to tap into social media "conversations" already happening online. You're simply carving out a little "share of voice" for your business! As part of our overall blog posting series on the LGBT TwitterSphere, we're here to introduce the #ILoveGay network and how it fits into the LGBT Twitter ecosystem. What is #ILoveGay and what does it do? 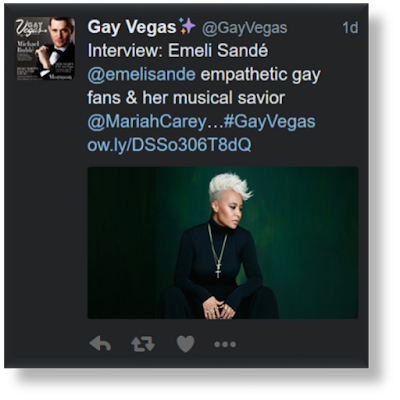 Simply put, #ILoveGay is a network of LGBT Twitter profiles, each focused on a particular niche in the LGBT online community. Some are unique to a specific region of the world, such as @ILoveGayPS and @ILoveGayNYC, while others focus on niche communities within the LGBT online community, such as @ILoveLGBTBiz and @ILoveGayHistory. The entire set of #ILoveGay profiles can be viewed online here: www.ilovegay.lgbt. 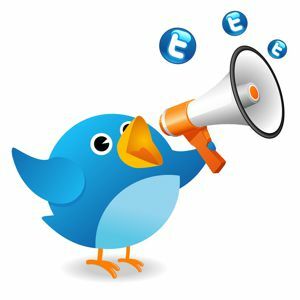 As the second part of the LGBT TwitterSphere series of articles, this blog post focuses on the HOW of Twitter... how do you do it and how do you make it work for you? This is key, as a large number of individuals and businesses are posting from Facebook to Twitter automatically, which just doesn't cut it. Others are focused solely on driving traffic to their websites, and if they are an LGBT media company, their website might be the only place an advertiser is able to be promoted, not on Twitter directly (Twitter directly, by the way, is where the new world of LGBT influencers are promoting their clients and advertisers). We're going to go out on a limb here, stick our necks out, and make a strong statement - we believe the "TwitterSphere" is at a unique place in history, sitting on the edge of its tipping point. We believe it's sitting at that very same inflection point the Internet was back in the late 90's, when most people were accessing it via AOL, Netscape was the dominant browser, and a comment we heard time and time again was "the Internet is simply the CB radio of our time... it too shall pass".